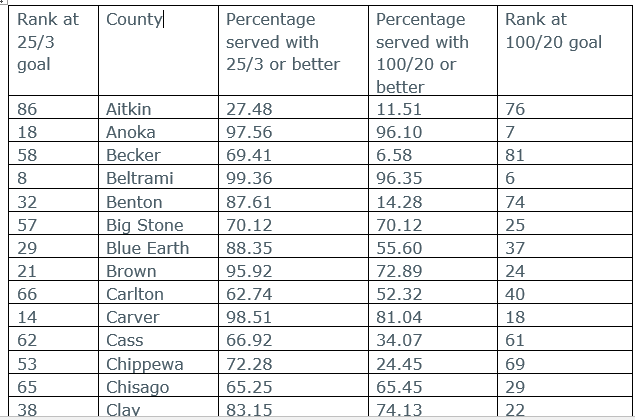 Big Stone County has the same percentage of coverage regardless of speed gauged – 25/3 (Mbps down/up) or 100/20. So while they don’t have ubiquitous coverage (they are holding at 70 percent), they are building broadband (FTTH) that will deliver now and in the future. In 2015, Federated Telephone Cooperative received a Border to Border Broadband grant of $3.92 million to construct broadband infrastructure to make service available to 1,072 unserved premises. Big Stone is slated to receive very little CAF 2 funding – $6,265 to upgrade 41 locations. CAF 2 recipients are only required to upgrade to 10/1 access. Many may choose to upgrade to better speeds but there are no requirements. Big Stone is also working digital inclusion. 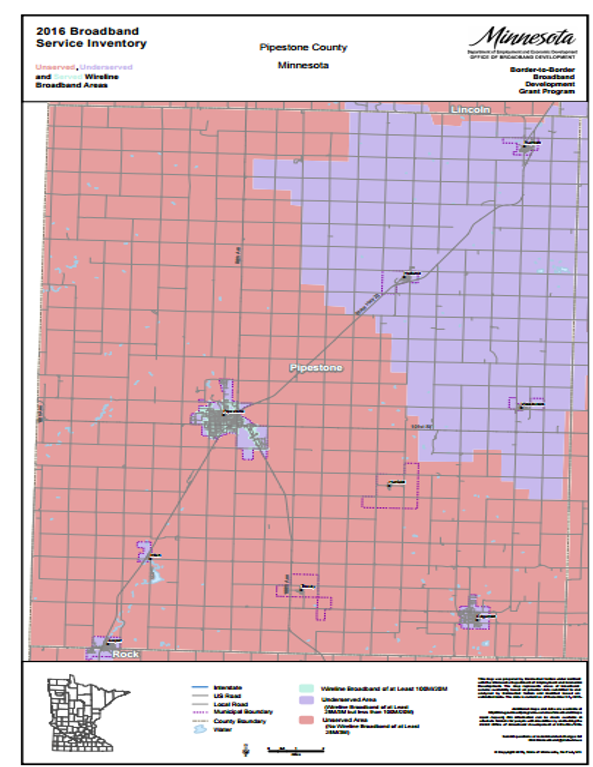 They are part of the UMVRDC (Upper Minnesota Valley Regional Development Commission), which is a Blandin Broadband Community working on increasing broadband adoption in the area on projects such as social media marketing movement: Quietly beautiful, wildly connected. DDI score of 48.32 out of 100.